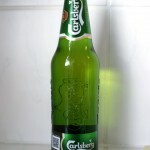 Carlsberg Group is the 4th largest brewery group in the world and Carlsberg beer is sold worldwide. 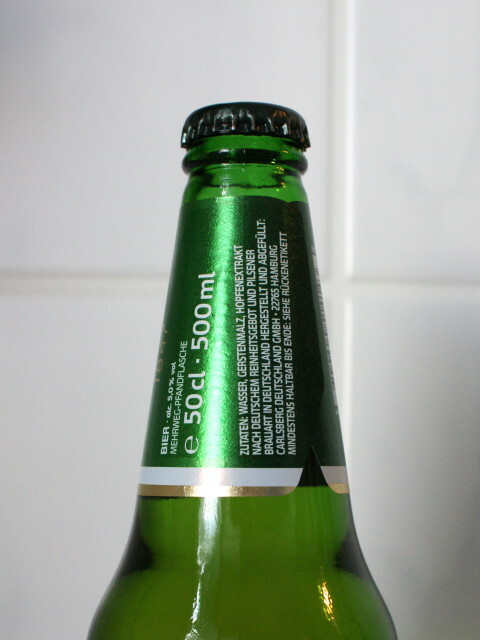 I tested Carlsberg on two gluten thresholds, here is the result. Miscellaneous: Brewed and bottled in Germany. 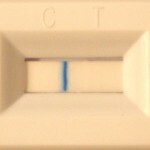 I did the test twice, first with a threshold of 20 ppm and then with a threshold of 5 ppm. The limit of detection depends on the number of drops taken from the extraction solution, please find some more information here. 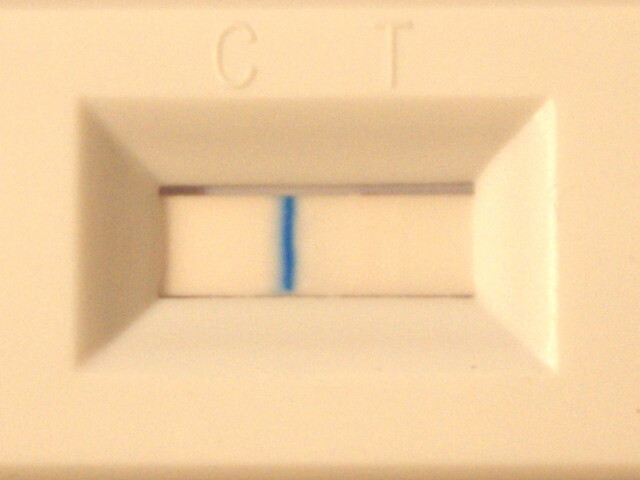 Test result: Both tests are negative. 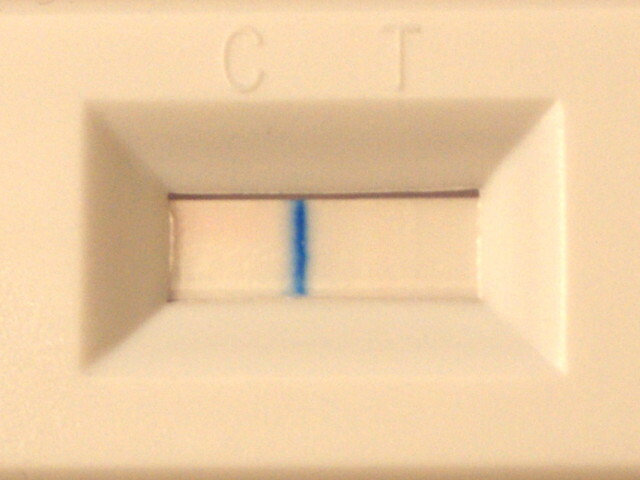 In these tests Carlsberg has less than 5 ppm gluten (or even no gluten). However, it is not a medical advice – please see my facts page. And I now just saw this. I see you did do two tests here. Good work. Much appreciated. Thank you very much for this information. It would be very interesting to see results for British-brewed Carlsberg and the Heineken available here in the UK. Same here for Aussie/NZ brewed Carlsberg and Heineken, I think they do brew those beer over here. I have sampled the Becks, Heiniken and Carlsberg beer following Steffen’s and the Swedish tests. I have had no adverse reaction from a Coeliac aspet, but have only had one or two cans per week, I do not want to push it. More importantly I make sure I only purchase the 500 ml cans brewed and canned in Germany, Denmark, Holland etc, as tested. I am not buying the same brands brewed here, which is generally the bottled variety. Our local Aldi store has imported Heiniken, Carlsberg and Becks in the 500ml cans on special this week, going to buy a few. For the benefit of overseas readers they are AU$9.99 per 4 pack of 500 ml. Beer is not cheap here, too much tax. A carton of 24 375ml bottles of local beer, Tooheys, VB etc is around $45 but often on special for $40. Hi Les, best advice ever: ‘Don’t push it’! Even though we test a number of beers negative I completely agree with you not to push it to the limits. When we test a beer with e.g. 10 ppm it means one could take 2 litre of this beer to reach the 20 ppm limit. But everyone reacts differently and so your advice is the best. 10ppm does not mean 2 x equals 20ppm – it is about concentration of the gluten – too many molecules hitting the villi will damage them … but 10ppm means that the statistical chance of hits is low enough not to cause damage … no matter how much you drink. Just having a 500ml can of Carlsberg now, the green can. I just read on the side of the can the ingredients ‘ Gluten !!!! One will do me. I forgot to mention the can I have is brewed in Denmark. 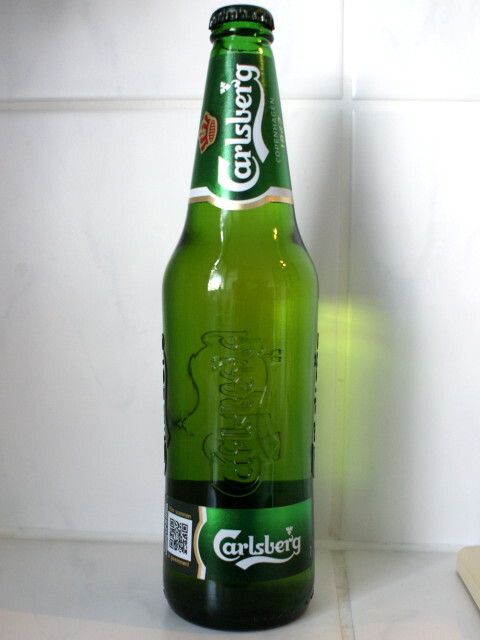 Hope it is ok, just realised that Steffen’s test was done on the German brewed Carlsberg. Thanks this is a really good website. Thanks for the hard work. Hope you get to drink some too! Where I am it’s hard to find Carlsberg from Europe. In fact it’s brewed here, under licence, at Cooper’s Brewery (one of my favourite’s breweries before being diagnosed with coeliac disease in 2006). I phoned Cooper’s to see how similar their product is to the Danish product. A lady there I spoke to said they’re continually inspected by Carlsberg people and are very particular about everything including completely reverse osmosis of the water used! So after successes with Corona and Coors Lager (called Coors Light in North America) I tried one stubbie bottle of Carlsberg. Unfortunately about three hours later I had amazingly horrible gluten pains, of which I hadn’t experienced in years. Have been a bit scared of trying anything else at this stage. Corona is not great anyway, plus they use an ingredient that’s in car anti-freeze! And Coors mustn’t be allowed to be called beer, only slightly flavoured water. Les Carter I would love to chat to you sometime about your experiences with beer if you’re still checking this website out. Not sure how to do that though. Happy and safe beer drinking everyone. Yes I get the chance to drink some beer over the week. I have one or two beers twice a week. I don’t really like wine or strong alcohol but I really enjoy a cold beer in the evening from time to time. The amount of gluten depends on many factors. One is the filtration method (so called ‘cold filtering’) and what is used to filter beer. All German big breweries use crushed diatomite (also known as Kieselguhr or Diatomaceous Eearth) to filter their beer. This method is not without controversy but seems to be one of the most important reasons why the German major beers I tested have so low gluten. 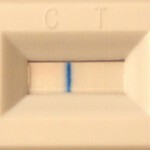 But there are many other factors that’s why I believe the most useful test is the self-test like you did with Carlsberg. Agree with Corona’s ingredients, not comparable to e.g. German beer purity law however it remains an option for Celiacs. Interesting what you say about German beers. What is the issue with the diatomite? I don’t know much about it. I do know about about the German beer purity law and that’s what attracts me to German beers. My wife and I avoid preservatives, additives and sugar as much as possible. There are a lot of questionable practices that occur in big business. I guess that’s what you’re maybe talking about with the diatomite? There is actually no health threat, so I consider diatomite safe. Further more, after diatomite is used for filtration it is completely recyclable as it will be re-used in agriculture. Hi Adam from Adelaide. 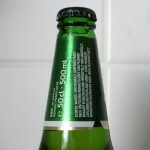 I purchased the Carlsberg in the 500 ml cans from Woolworths -BWS. Currently I am into Becks, but my favoured one is Budweiser, I only keep it to 2 max though. I was diagnosed Coeliac in 2010. I have E mailed a few Aussie breweries re gluten content, i.e. Tooheys, Coopers, Carlton, they have not tested any of their beers for gluten content, nor will they. The Aussie O’Briens GF beer is a crazy price $75 a carton and not that good anyway. So I am not partaking of any Aussie beer, just trying the ones Steffen has so kindly tested for us unfortunates. OK Guys, now for the Carlsberg Elephant beer, bought a 6 pack today. Any of you Coeliacs/ GF drinkers tried it? 7.2% abv. Hi Les, uuhhh this sounds like a tough beer. I guess one is enough already – haven’t tried it, though. Thanks Steffen, to my palate the Carlsberg Elephant is not a nice beer. Strange taste. Maybe I should sip it from the bottle. I always serve my beers ice cold. …ice cold. This reminds me to the time when I enjoyed a beautiful Guinness Extra Cold in a pint glass in my favourite pub in Cambridge. Yes the ‘Extra Cold Guinness’ has been around in UK for a few years. Cambridge? Visited there in July, stayed a week at Holiday Inn – Huntingdon Racecourse, doing some touring and tasting the ciders. Guinness is always served very cold here, draught or bottled/canned. Not had one since my Coeliac attack in 2010. Not bad but not great taste, head poor, no bad reaction, only had one, prefer the Pabst blue ribbon.